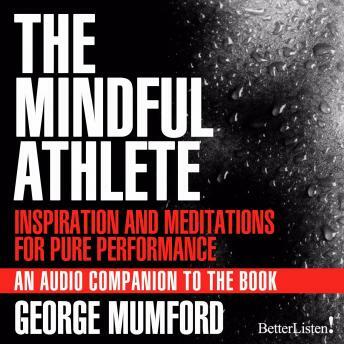 The Mindful Athlete: Inspiration & Meditations for Pure Performance with George Mumford, an audio companion to the book. Spend some time with the inspirational and insightful George Mumford. For years George has been the secret weapon on Phil Jackson's championship teams. Working with Michael Jordan, Kobe Bryant, Shaq and other greats. Listen and learn some of the secrets from George, do the same meditations that George did with these sports greats.